Weeks after the terrorist attacks in Christchurch that left 50 Muslims dead and 50 injured, E Tū Whānau senior adviser, Jenny Janif, a Hindi-speaking member of Auckland’s Muslim and Fijian-Indian communities, remains in close contact with survivors and families of victims. Within hours of the tragedy on March 15, Jenny and fellow E Tū Whānau colleague Sally Clarkson were meeting with friends and colleagues from Muslim communities. They worked swiftly with contacts in emergency management, Police and other agencies to identify volunteers with appropriate language and cultural skills who were able to travel with them to Christchurch and offer cultural and emotional support, kanohi ki te kanohi. Naima Ali, a refugee student co-ordinator from the Somali community and Jamila Slaimankel, an Afghani health promoter with the Auckland DHB were part of the team which also included Gibran Janif, an occupational therapist, and Omar Ali and Dr Arif Saeid, both counsellors and grief and welfare specialists from the Somali and Afghani communities. Based at a community hub, they worked with, and translated for, individuals and families from the Muslim community needing emergency support. They also provided front-line support for Work and Income staff and workers from other agencies in the form of cultural advice to ensure everyone affected by the massacre got the help they needed. They found accommodation for friends and family members who had travelled from overseas or other parts of the country to be with stricken whānau. 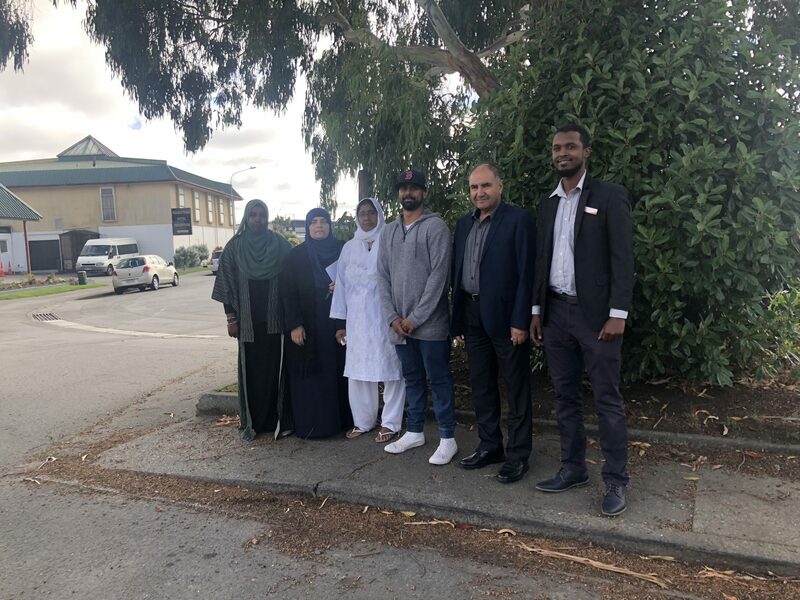 They took them to visit loved ones in hospital, accompanied them to memorial services and liaised with their families and others in the local Muslim community. “We did anything and everything they needed in a practical sense but our most valuable role was simply to offer condolences and friendship, to listen with compassion,” Jenny said. “It was inspirational how you have conducted yourself. You advocated for the people who needed it with dignity. Thank you for your professionalism and your gracious support for all of us,” she said.